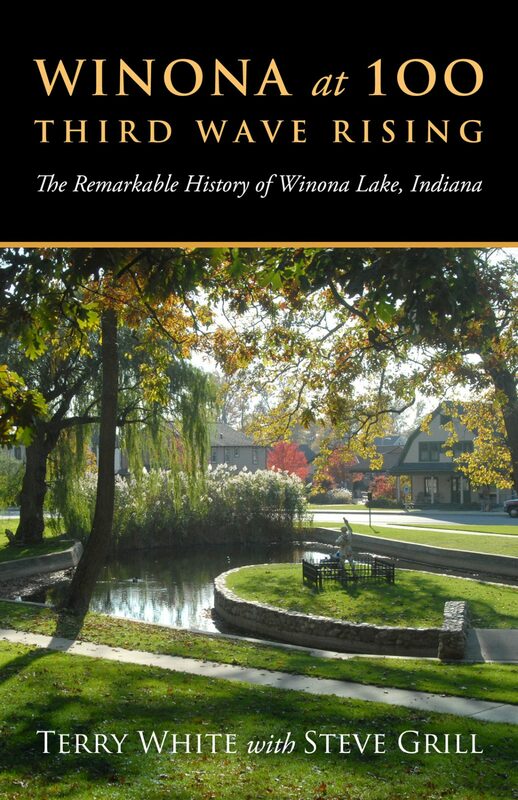 Winona at 100: Third Wave Rising, the definitive history of Winona Lake, Ind., that has been written by Terry White and Steve Grill, is now available in electronic format. The book is currently available in the Kindle (amazon.com) and Nook (Barnes & Noble) format. The iBook and Kobo formats should be available this week. 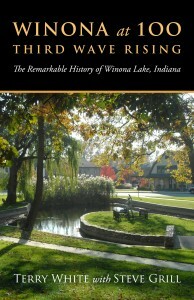 Below is an unsolicited review, along with a memory about Winona Lake history, was received by Terry White this week from Grace Brethren pastor, Bud Olszewski (Grace Brethren Church, Rittman, Ohio). It is shared here with Bud’s permission. I received and started reading the 100 years of Winona book. It is GREAT! I am recommending it to many – basically everyone. Last night I read about the August 21, 1971 burning of the Winona Inn. I was a small part of that! I worked for Grace housing that summer under Terry Howey. Terry, I and one other student (maybe Bob Lofgren, I forget) worked all week long getting useable stuff out of the building. That morning we went through the building with gas cans pouring it all over. When I came out with mine, I went to the street and set my can down. A photographer from the Times Union asked me to set it on the curb, so I did. He then asked me to position it so the width of the can faced the road, I did. The he laid down in the street and took a picture of the can with the Inn in the back ground. I asked him what he was doing and he said this was historical. I thought he was hysterical. To my defense: a) I’m from Philly – you know George Washington, Ben Franklin, the Liberty Bell (which my dad designed and made the stand for in 1976), Cheese steaks, etc. Historical? b) Until reading your book, I knew Winona was a signficant Christian center, perhaps the most in the country, but I am amazed at what I have learned and love the place even more – if that is possible! Thanks for your book. I should add, my very good friend Steve Grill, former coach of mine, contributed as well – you both have done a great job. Thanks!! !